Next thing to consider backlash planetary gear head. Backlash smaller the higher the accuracy, the higher the cost. Users should choose to meet the accuracy requirements of series reducer can be. Also consider lateral / radial force and the average life expectancy. Lateral / radial force larger gear at the installation and use of high reliability, easy to go wrong. The software gives manufacturers real life can be calculated. The average life expectancy is usually far exceeds the servo motor with life. After satisfying the above parameters, you can catalog, select the installation size, shaft and input flange adapted to your motor reducer of. Finally, you also consider the distribution of the weight of the motor. A reduction machine is only allowed with less than a certain weight auxiliary motor, the motor is too heavy, long-term operation will damage the gear head output flange. In the reducer family, planetary gear its small size, high transmission efficiency, wide deceleration range, high accuracy, and is widely used in servo, stepper, DC and other transmission system. Under the premise to ensure precision transmission, which is primarily used to reduce torque and lower speed increases the load / motor of inertia ratio. Line Reducer performance measure several key technical parameters are: the reduction ratio, the average life expectancy, the nominal output torque, backlash, full load efficiency, noise, lateral / radial force and temperature. Reduction ratio: the ratio of output speed and input speed. Series: Department of planetary gear reduction wheel constitute a separate round sun and its surrounding, as this is only a gear train, we called in the reducer "a." 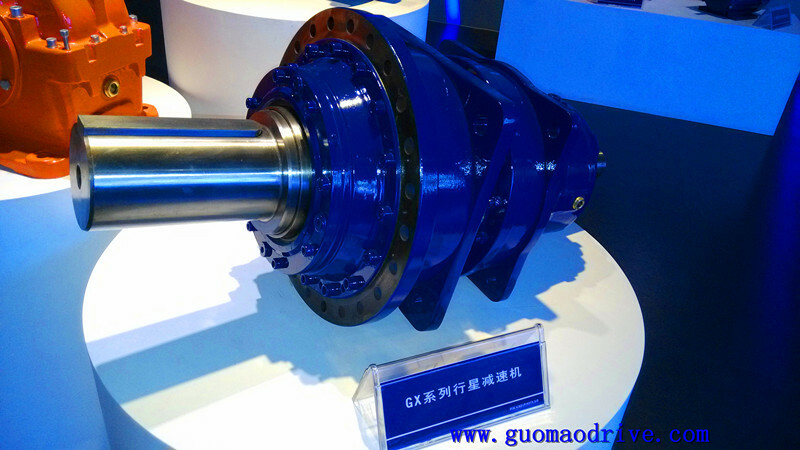 In order to obtain a large reduction ratio, to be a multi-stage gear reduction ratio from 3-512. Average life expectancy: means that the continuous working time reduction gear at rated load, maximum input speed when. Rated output torque: that allows the output torque at rated load long-term work. The maximum output torque is twice the value. Backlash: the output of the fixed input terminal clockwise and counterclockwise rotation, so that the output generated when the rated torque ± 2% of the torque, speed reducer input end has a slight angular displacement, the angular displacement is the backlash. The unit is "minutes of arc." Lubrication: planetary gear in the entire period was used without lubrication. Full load efficiency: refers to the maximum load, gear transmission efficiency machines. It is a key indicator of the gearhead, high fever reducer full load efficiency of small, good overall performance. Noise: decibels (dB) A. When this value is the input speed of 3000 rev / min with no load, the deceleration distance measuring machine, one meter distance. Operating temperature: refers to the work gear in continuous and periodic operation, can allow temperatures.